As New. Santa Barbara/New York: Scribner - Santa Teresa Press, 2001. First Edition - AuthorÍs Manuscript Edition. 479pp. 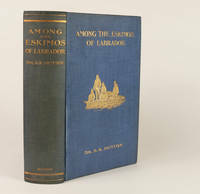 One of 100 deluxe numbered copies signed by the author, John Dunning which has a page bound in of the novelÍs original working manuscript corrected in DunningÍs hand. The manuscript page is also signed and labeled by Dunning as being part of the original manuscript. An As New unused copy. 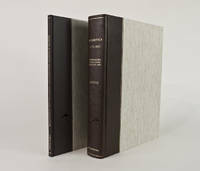 Hand-bound by the Harcourt Bindery in dark blue three-quarter morocco leather with marbled boards enclosed in a matching cloth slipcase with marbled sides. A gripping mystery and an enthralling recreation of another time taking place in a radio station in New Jersey, 1942.